Yan Ge (1984), who has already written ten books, was born in Sichuan in the People’s Republic of China. Her early work focused on the wonders, gods and ghosts of Chinese myth and made her especially popular with teenagers. The novel May Queen (2008) saw her break through as a critically acclaimed author. 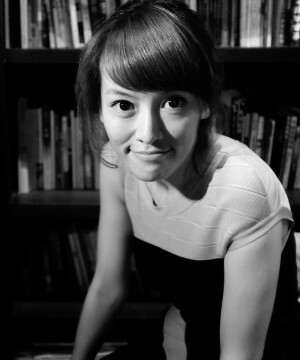 In 2011 an English translation of an excerpt from her new novel Dad’s Not Dead* was featured in Chutzpah magazine, and People’s Literature magazine recently chose her – in a list reminiscent of The New Yorker‘s ‘20 under 40’ – as one of China’s twenty future literary masters. Yan Ge is doing a PhD in comparative literature at Sichuan University and is the chairperson of the China Young Writer Association. Yan’s columns for The Chronicles are translated into English and Dutch by Philip Hand and Elise Kuip.